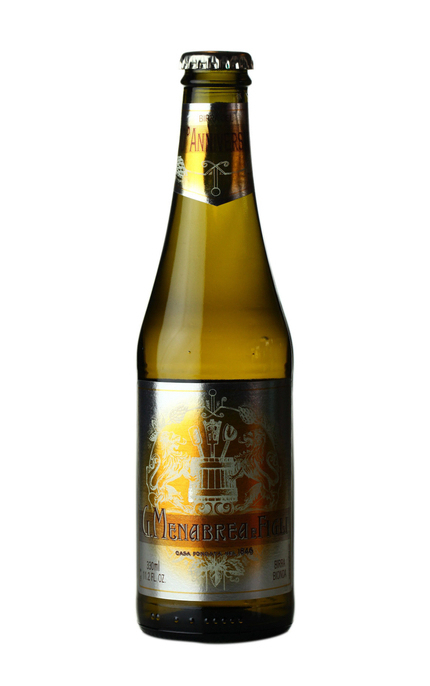 As the name suggests, Menabrea Anniversary 150 is produced to celebrate the 1846 establishment of the G. Menabrea and Sons brewery in Biella, Italy. Clear, golden yellow with a thin white head that dissipates quickly. Malty nose with a hint of cardboard box. Grainy with some toasted maltyness and slight bittering from hops. Lacks any real interest but similarly nothing to particularly upset. Biscuity, slightly bitter hop finish.